The main question here is "Will this site fit our criteria?" Before setting off on the actual work, let's be sure that we can validate our methodology. 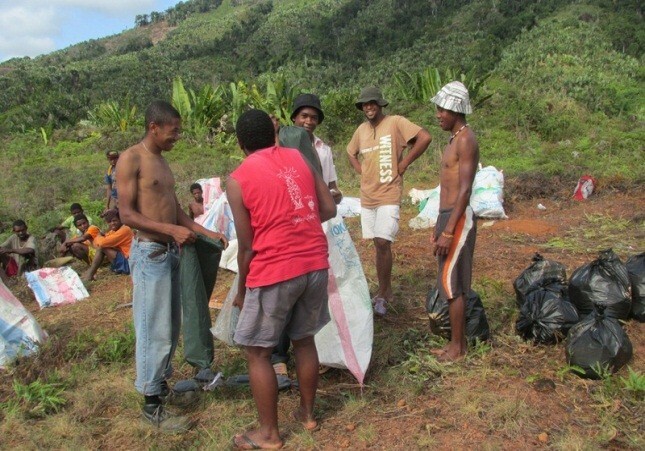 Alongside the field work we mustn't forget our overall mission. "Come on, we want to get to work!" "Ah yes, I know this species!" "Hang on, dont clear it all away, I haven't finished with that sample yet!" 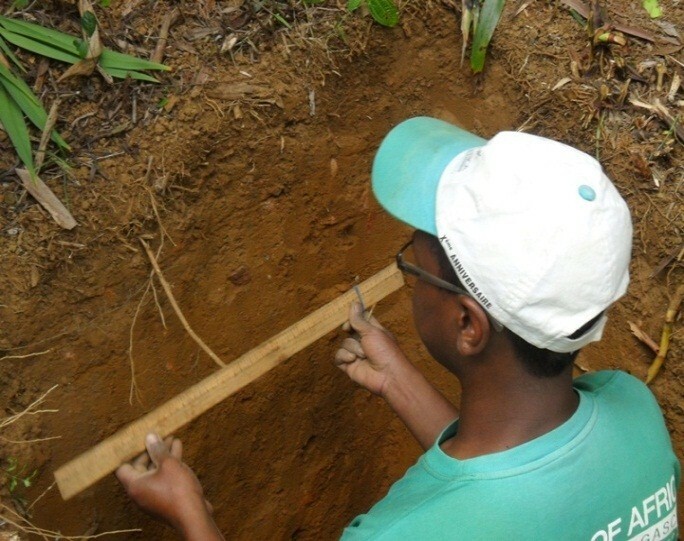 The carbon team is coordinated by Laboratory RadioIsotopes (LRI) which is part of the University of Antananarivo and is looking into carbon stocks of different modes of land use to better understand how different land uses which could be influenced under REDD+ influence carbon stored in a landscape. 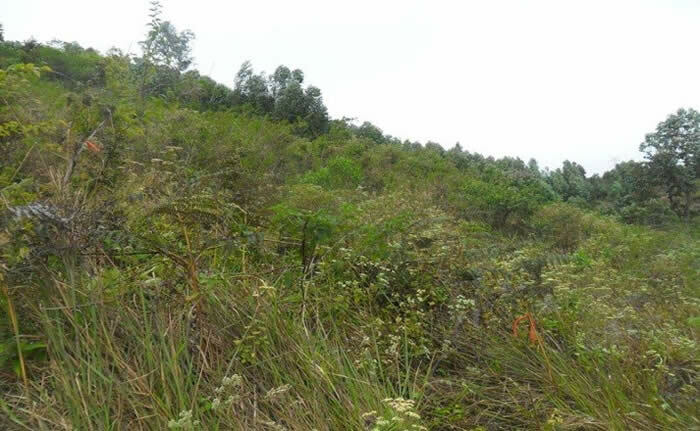 It aims to quantify carbon stocks of all carbon pools recommended by the International Panel on Climate Change (IPCC); including: above ground biomass, dead wood, leaf litter, root biomass and organic matter. 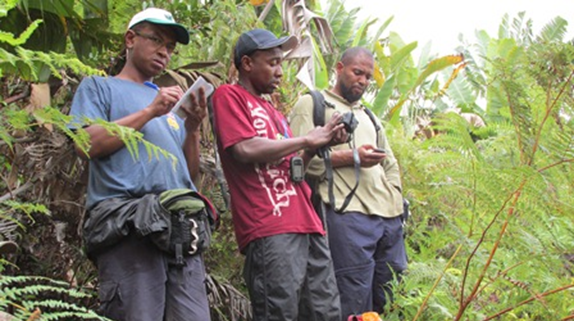 The team comprises researchers from LRI and its partners, research and administrative assistants, local field staff and central staff and a laboratory team. 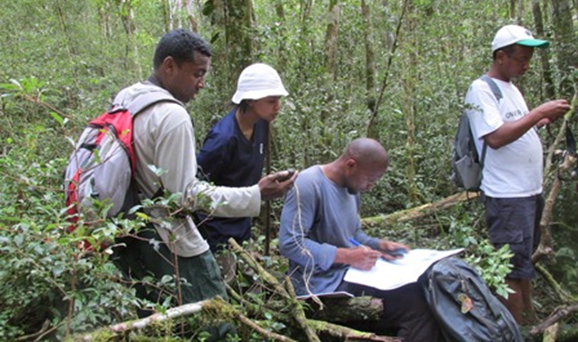 LRI is working closely with remote sensing experts from Conservation International to extrapolate results and ask critical questions used for improving monitoring of carbon stocks from remotely sensed data. The carbon team also works very closely with the other biophysical teams of the p4ges project (hydrology, wild harvested products and biodiversity). In the context of climate change, carbon is a global ecosystem service that people are willing to pay for as it influences the well-being of the entire planet. Tropical forests cover about 15% of the earth’s surface and contain about 25% of the carbon in the terrestrial biosphere and deforestation and degradation contribute a significant proportion of global emissions. 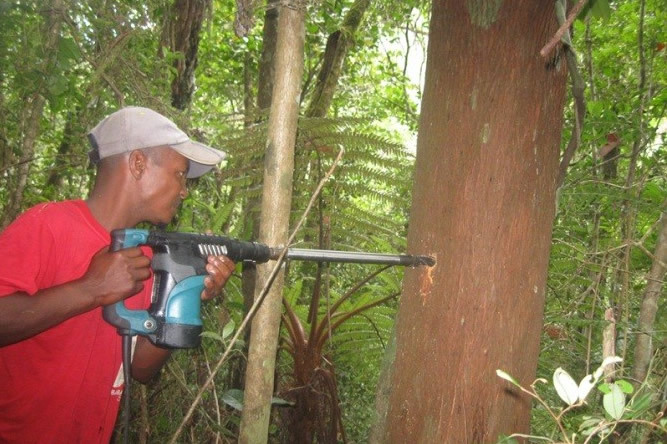 Reducing Emissions from Deforestation and Degradation (REDD+) is an international mechanism aiming to reduce greenhouse gas emissions from land use change. It requires reliable estimates of forest carbon stocks at the national level. So the team’s goal is to understand the change in carbon stock according to the land uses which can be incentivized under REDD +. 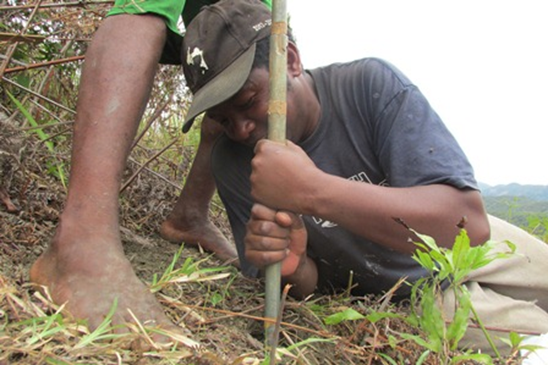 Through other activities in p4ges, this ultimately links through to designing improved REDD+ which can contribute to the reduction of local poverty. 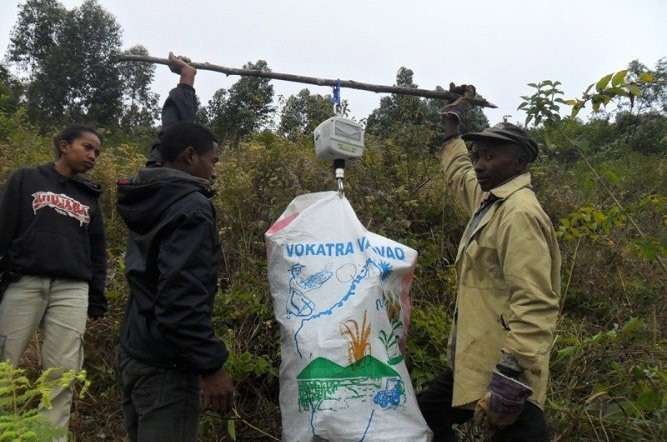 Field work was conducted in 2013-2014 in three areas, located in the Corridor-Ankeniheny-Zahamena (CAZ), which were determined in agreement with all our p4ges partners. 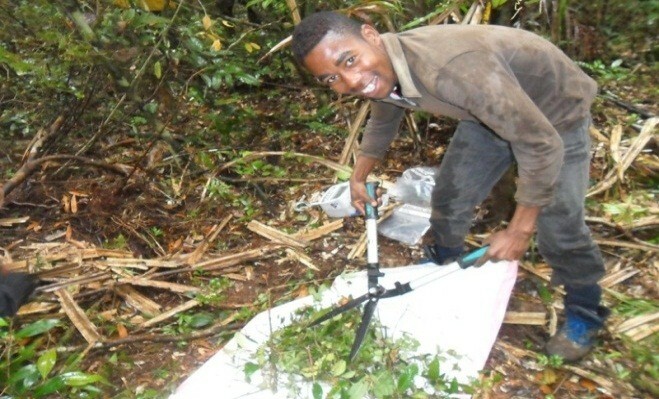 The team has therefore conducted several field campaigns (including some in collaboration with other biophysical teams) in Andasibe, Didy and Anjahamana in order to collect data on vegetation and soil for its studies. How does the carbon team operate? 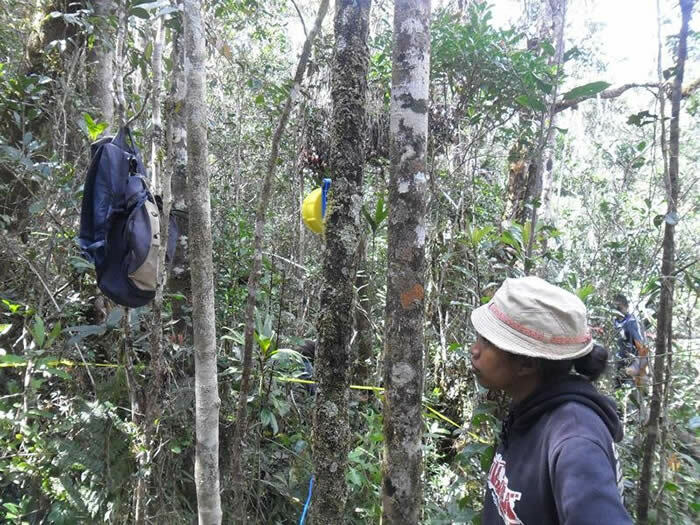 Once we identified the study sites, we held some training and initial studies conducted by the Carbon team and later with other biophysical teams. Then come the design and finalization of methodological approaches to be adopted by the carbon team. This ensures integration with the other biophysical teams. Protocols were agreed in discussion across the teams. Then we prepare the hardware to perform the actual field measurements. 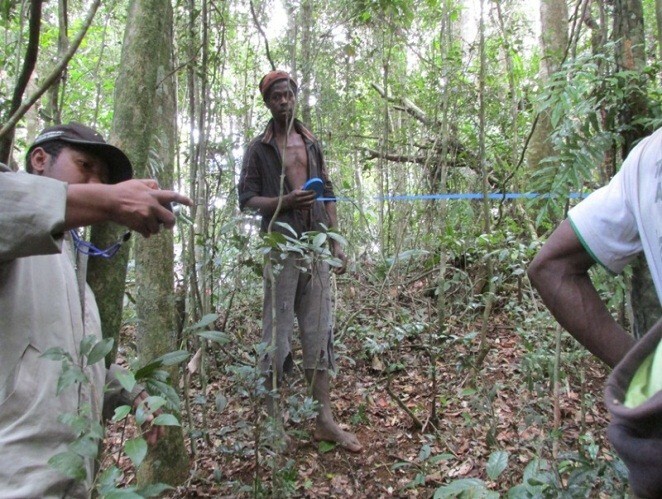 After this the forest inventory team goes into action. Samples of ground biomass, undergrowth and litter are collected. After the above-ground part, the root biomass is collected for study. 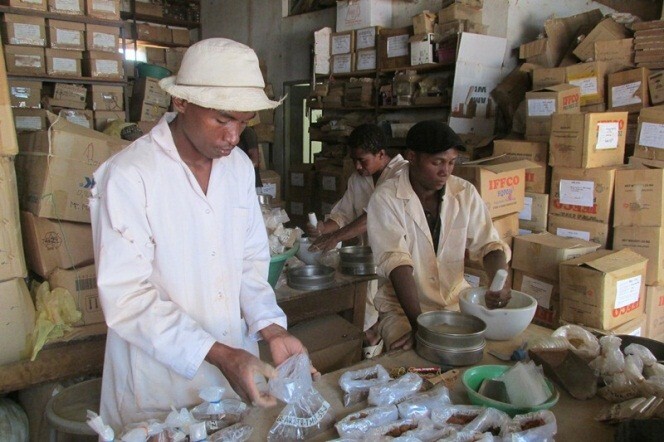 Samples are weighed and then forwarded to LRI where the laboratory team carries out tests and cataloguing. Later, all the data from the field and laboratory work is centralized in the database, allowing processing, exploitation and development. 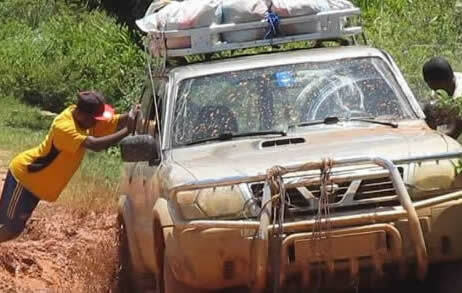 The camp sites were quite remote and we had many obstacles getting there but this did not stop the team working hard –the dinner break is always a good time to spend in nature! The administrative and financial team all help ensure that accounts are well kept. 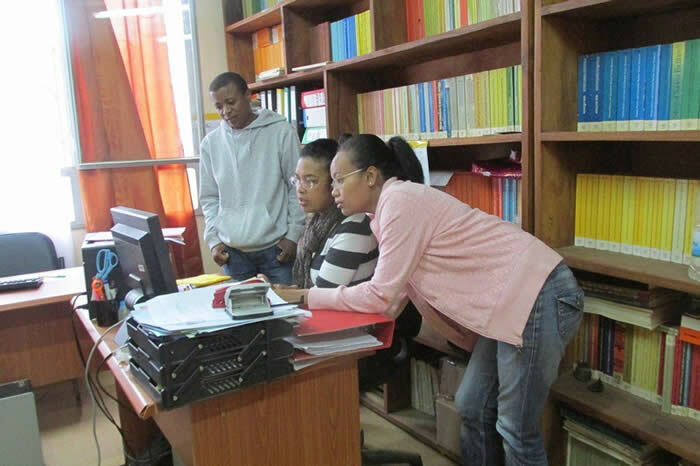 The Training and Research Unit "Wood" in the School of Agricultural Sciences - Forestry Department (University of Antananarivo) is one of our partners. 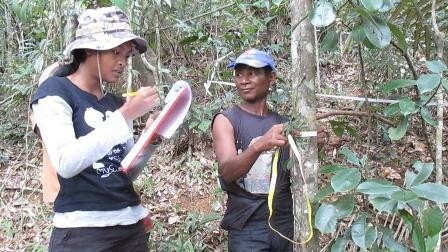 The collaboration with the Faculty "Wood" ensures the determination of the infra-wood density (ID) of woody species; essential for an accurate assessment of quantities of biomass (and therefore carbon stocks) forests. 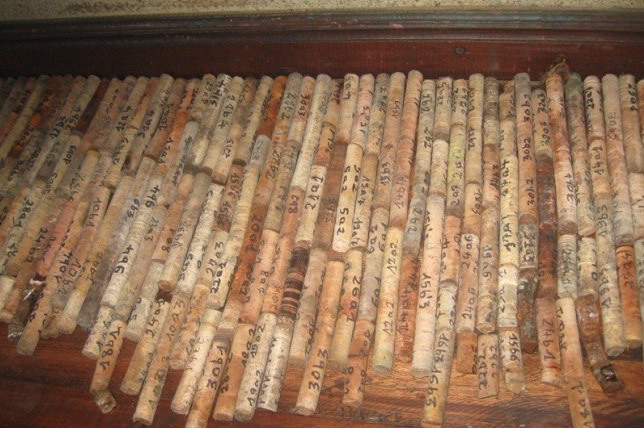 The first step is the realization of wooden stick samples from the Malagasy tree species not yet included in global databases on ID. 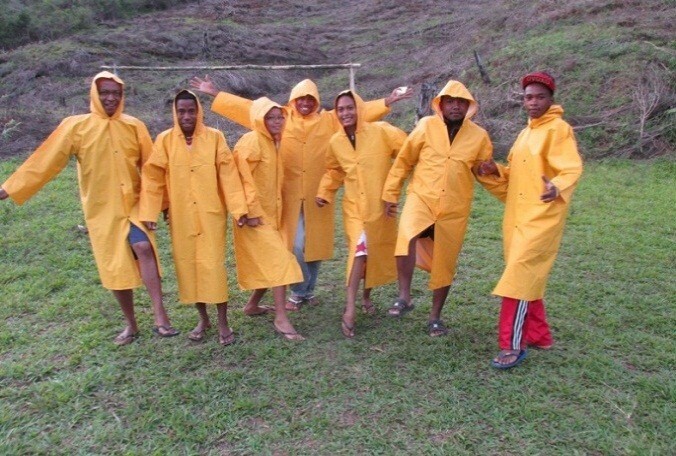 Razakamanarivo Herintsitohaina, Razafimbelo Tantely, Andriamananjara Andry, Haritiana Julio Saneho, Riana Hary Andrisoa and Ramboatiana Nantenaina.